Seemingly all 21st century Bay Area metal roads lead back to Ludicra. That is, the ones that don’t somehow still extend back to Exodus, Metallica or Neurosis. For 12 solid, if underrated years, the San Francisco band helped further establish the U.S. as a hub for black metal, succeeding in the path of pioneers such as Absu, Weakling or Judas Iscariot with their own uniquely intense, yet undeniably melodic approach. The band achieved a personal peak on 2010′s The Tenant, a standout effort not for being outlandishly experimental or iconoclastic, but by exploring black metal’s potential through a progressive if accessible approach to songwriting that honored the aesthetics of classic heavy metal while finding new extremes to strive toward. Remarkably, it’s the bands that rose to prominence in the aftermath of Ludicra’s founding, such as Hammers of Misfortune, VHOL and Agalloch (who technically predated Ludicra by a couple years) that often overshadowed them. Yet the level of ability and versatility on display of every band that arose after or in parallel spoke to the significance of Ludicra, that however underrated they were in their day, they definitely weren’t wanting for talent. 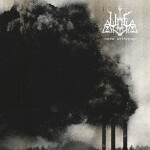 Ails, which counts among its ranks Ludicra vocalist Laurie Sue Shanaman and guitarist Christ Cather, feels in many respects like a continuation of the legacy that began with their former band’s ’00s-era output. It’s inevitable that it would be, given that two of Ludicra’s core creative architects are at the helm of the project. 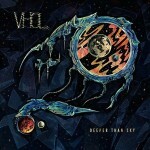 Early singles “The Seven” and “Dead Metaphors” suggested as much, each one a nine-plus minute exploration of progressive black metal with a strong tendency toward ear-catching melody amid raw, lo-fi production techniques. The Unraveling builds on the promise of those two tracks with a fully realized 40 minutes of metal that not only signals Ails’ official arrival as a band, but shows that they’re a damn good one. “The Echoes Waned,” the first track that Ails released from the album, is a six-and-a-half-minute sampling of everything that Ails does well, and it’s as perfect a metal song as anyone will hear in 2018. It’s also far from a complete reinvention. The band transitions between a heroic gallop and a searing primal-scream blast that demonstrates the distance between the band’s extremes. Shanaman delivers a versatile performance of her own as well, offering melodic incantations and gale-force screeches alike. And in between there’s an unexpected moment of gentle, acoustic majesty, a moment of respite that doesn’t just serve the song in an effort to give the listener some breathing room, but serves as an unexpectedly gorgeous high point. All of the sounds on The Unraveling are made by guitars, bass, drums and vocals, and pretty loud ones at that. 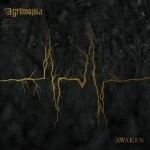 There’s an admirably old-school sensibility about the band’s approach, in that they use this opportunity to find new sounds and textures to explore within a familiar format rather than build something stranger and more foreign on top. There’s still time for that, but for now there’s a lot of excitement to be found in the crunch of “Dead Metaphors,” the muscular chug of “Any Spark of Life” and the harmonized riffs of “Mare Weighs Down.” Even “The Ruin,” while slight at a bit under three minutes, is surprisingly refreshing in how it finds the band shaving off any unnecessary twists, turns, intros or outros in an effort to distill black metal down to its most primal elements. 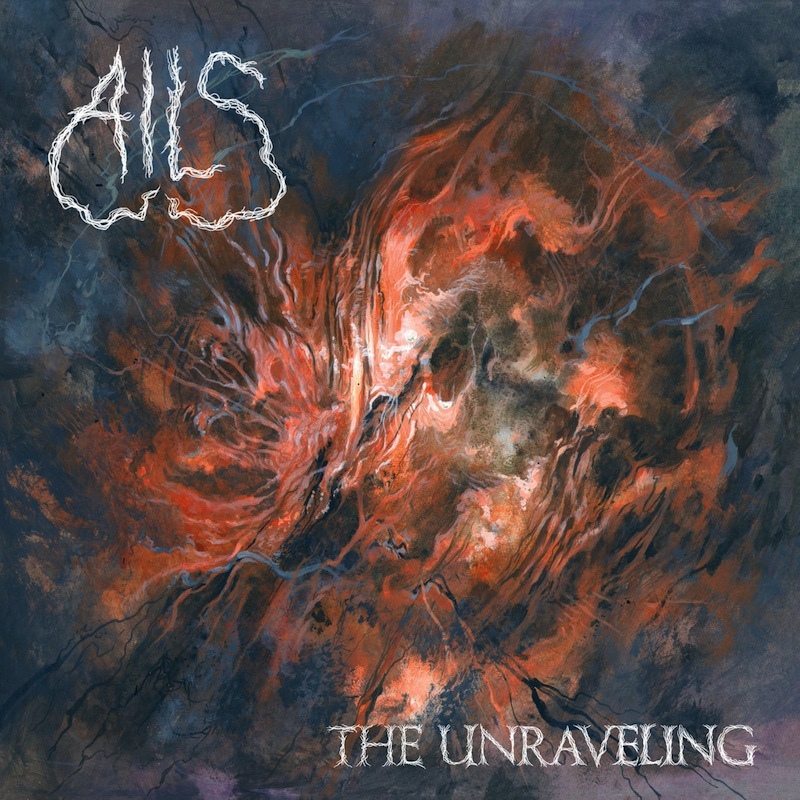 Ails’ debut Bandcamp demo “The Seven” reappears here as “Bitter Past,” but in a more fully fleshed-out permutation. It’s a nine-minute tour de force, unleashing every weapon in the band’s arsenal and doing so without any hesitation or restraint. As the band races toward the end, they gradually spiral out into an increasingly stranger psychedelic vortex, serving as one last reminder that however straightforward Ails’ sonic makeup might be on paper, it’s far more innovative and exciting than that in execution. At this stage of black metal’s evolution, every band is either trying to reinvent the genre or swear allegiance to its decades-old traditions. Ails are an anomaly in that they’re primarily concerned with making it sound the best they can.